NEW Coupons - Curad Bandage, Mars Ice Cream, Charmin + More! SAVE $2.00 on any ONE (1) GARNIER® Olia® Oil-Powered Haircolor. Save $2.00 on ANY ONE (1) L'Oréal® Excellence or Excellence Age Perfect haircolor product.Expires 11/12/2016.Save $2.00. Save $2.00 on ANY ONE (1) NATURE'S BOUNTY® OPTIMAL SOLUTIONS® vitamin or supplement.Expires 6/30/2016.Save $2.00. Save $2.00 on any ONE (1) göt2b® styling product (excluding travel and trial sizes).Expires 6/5/2016.Save $2.00. Save $2.00 on any ONE (1) GARNIER® Olia® Oil-Powered Haircolor..Expires 6/4/2016.Save $2.00. Save $1.00 on ONE (1) Dial® or Tone® Body Wash 12oz+, Bar Soap 6ct+, Lotion 12oz+. Excludes Trial Sizes.Expires 5/27/2016.Save $1.00. Save $1.00 on ANY TWO (2) Dial® Refills 32oz, Dial® Bar Soap 3ct+, Dial Complete®/Dial® Kids/Tone® Foaming Hand Wash 7.5oz+, Dial® Advanced Bar Soap 2ct+.Expires 5/27/2016.Save $1.00. Here's a really NEAT &amp; EASY Idea! 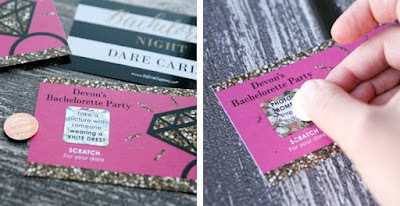 Grab these Bachelorette Party Scratch Off Dares | 22 Cards for $6.49 (Retail $12). Gather your girl friends and get ready for a fab night out with this creative bachelorette party activity. Fun but not very risqué, scratch off dare cards are sure to be a hit with everyone! With dare like "Photo Bomb 3 random photos" and "Kiss the Bartender," everyone will be willing to participate with our getting into too much trouble. If you want to make it a bit more challenging, there is a pass card and "Bride's Choice" to make your bachelorette party perfectly suited for your group of friends. Girls Night Out dare cards will give you plenty of memories – and photos – to giggle about for a long time! SIMPLE: Hand out cards all at once, or distribute throughout the night. Each cardholder scratches off their card to reveal their dare. TWIST: Guests can opt out of their dare by buying the Bride-To-Be a drink! TRUTH-OR-DARE: Opt out of a dare by answering a "TRUTH" question from the Bride-To-Be. Note: Dares aren't very risqué, so you can have a fun night out without next-day regrets. $3.99 for the first item and $0.50 for each additional item. US only. Ships no later than Sun, May 15. I'm thinking these would be so cute coming into our mudroom for the kiddos to put their stuff in! 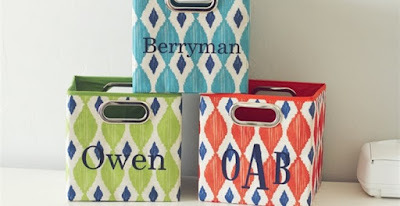 Check out these Personalized Storage Cubes for $9.99 (Retail $25). The personalization is endless, put whatever you want from names to "things" such as dog toys, legos, Etc. Measures 10, H 10.5, W 10.5 D- Standard Storage Cube Sized! $4.99 for the first item and $2.99 for each additional item. US only. Ships no later than Tue, May 24. 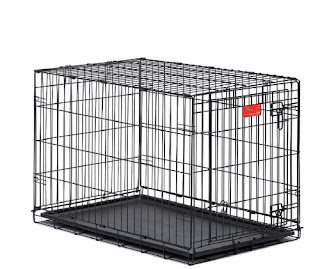 Get this MidWest Life Stages Double-Door Folding Metal Dog Crate, 42 Inches by 28 Inches by 31 Inches ONLY $55.17 (Retail $159.99). -Easy setup and folddown to portable size. Divider panel included, allowing you to adjust your puppy's living area as it grows. 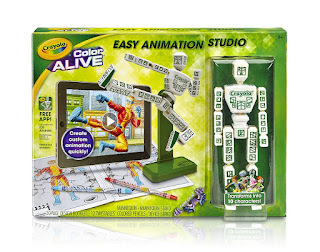 HURRY and check this Crayola Color Alive Easy Animation Studio for $5.72 (Retail $24.99)! 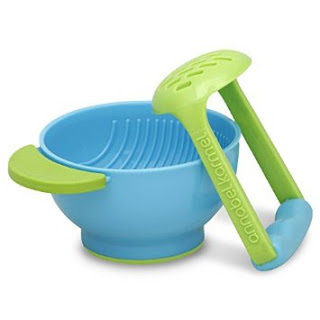 Head over and check out this BEST SELLER NUK Mash and Serve Bowl for Making Homemade Baby Food for $6.99 (just scroll down the page). Through June 7th, Snapfish is offering up to (99) 4×6 photo prints for ONLY 99¢ when you enter the promo code PNYSPR16 during checkout. * On the final order page, your discount will show up and you'll pay just $0.99 and around $5.89 for shipping (+ tax) for 99 photo prints shipped! Right now Target is offering Bryant Patio Chairs Loveseat, and Coffee Table plus EXTRA 25% off with code BRYANT25 at checkout. PLUS use your Target RedCard and you'll receive another 5% Off! 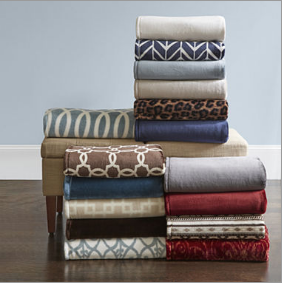 They come in 32 color options including new spring patterns and measure 50" x 70" (standard throws usually measure 50" x 60"). Note that it only works on 2 throws per order. Spend $25 and get free shipping to your local store, otherwise it adds $8.95. 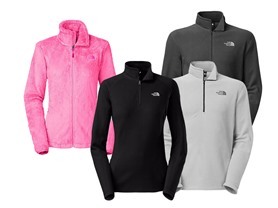 RUN over and check out these The North Face Fleece from $37.99 - $44.99! Hurry over and grab yours before it disappears! 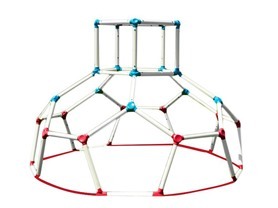 The kids are going to love this Lil' Monkey Dome Climber Set with Mobile App for $99.99 (Retail $129.99).